We are located near Glory Days Grill and across the street from Walmart. Manage the risks of everyday life, recover from unexpected events, and accomplish your dreams with the help of our skilled team of insurance professionals. We are your resource for all types of insurance coverage, including auto insurance, home insurance, business insurance, and renters insurance. We want to be your first choice for quality insurance and financial services. 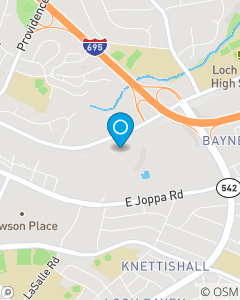 Servicing the following areas Baltimore, Towson, Parkville, Pikesville MD.